Just in time for summer break, Disney’s “A Wrinkle in Time,”from acclaimeddirector Ava DuVernay, comes home May 29 on Digital HD, 4K Ultra HD and Movies Anywhere and June 5 on Blu-ray™, 4K Ultra HD™, DVD and On-Demand. Families who bring home “A Wrinkle in Time” will go behind the scenes to meet the talented craftspersons, actors and filmmakers who broughtto life every spectacular detail of this triumphant tale. 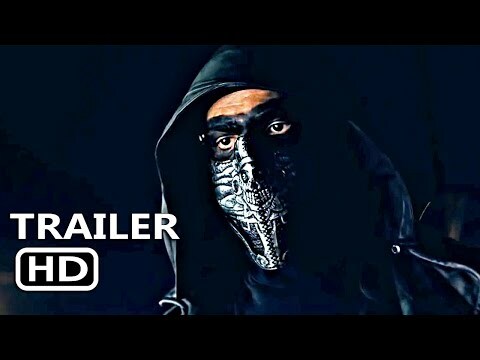 Bonus material includes an extended featurette providing inside access to the A-list cast and crew; insightful audio commentary from director Ava DuVernay and team; deleted scenes; bloopers; and two music videos, including “I Believe” performed by GRAMMY®-nominated music mogul DJ Khaledand featuring GRAMMY®-nominated singer-songwriter Demi Lovato. 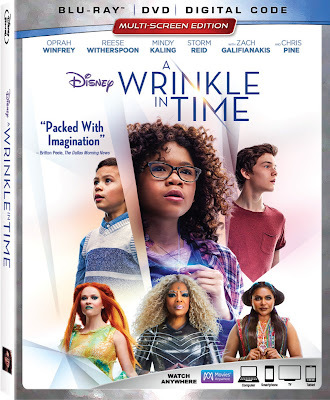 More than 50 years after Madeleine L’Engle’s young adult novel “A Wrinkle in Time” was awarded the prestigious Newbery Medal, the big-screen retelling of this timeless classic takes audiences on a transformative journey, exquisitely illustrated through jaw-dropping visual effects, a stirring musical score and diverse, star-studded cast. Three celestial guides, Mrs. Which (two-time Academy Award® nominee Oprah Winfrey), Mrs. Whatsit (Oscar®, GoldenGlobe® and Emmy® winner Reese Witherspoon) and Mrs. Who (Emmy nominee Mindy Kaling), come to Earth to share their wisdom and love with struggling eighth-grader Meg Murry (Storm Reid) as she journeys across dimensions with classmate Calvin (Levi Miller) and younger brother Charles Wallace (Deric McCabe) in search of her father (Chris Pine), a world-renowned physicist who mysteriously disappeared four years ago. “A Wrinkle in Time”isdirected by Emmy® winner and Oscar® and Golden Globe® nominee Ava DuVernay from a screenplay by Oscar winner Jennifer Lee and Jeff Stockwell based upon the beloved novel by Madeleine L’Engle. The film is produced by Jim Whitaker and Catherine Handwith Doug Merrifield and Adam Borba serving as executive producers, and stars two-time Academy Award® nominee Oprah Winfrey as Mrs. Which; Oscar, Golden Globe and Emmy winner Reese Witherspoon as Mrs. Whatsit; Emmy nominee Mindy Kaling as Mrs. Who; Storm Reid as Meg Murry; Levi Miller as Calvin; Deric McCabe as Charles Wallace; Gugu Mbatha-Raw as Mrs. Murry; Michael Peña as Red; with two-time Emmy winner Zach Galifianakis as the Happy Medium and Emmy nominee Chris Pine as Mr. Murry. Movies Anywhere is a digital movie platform that enables movie fans to discover, access, andwatch their favorite digital moviesin one place. Movies Anywhere brings together a library of nearly 7,500 digital movies from Sony Pictures, Twentieth Century Fox Film, The Walt Disney Studios (including Disney, Pixar, Marvel Studios and Lucasfilm), Universal Pictures (including DreamWorks and Illumination Entertainment) and Warner Bros., andwill continue to expand the consumer experience as more content providers, digital retailers and platforms are added.By connecting participating digital retailers that include Amazon Prime Video, FandangoNOW, Google Play, iTunes and Vudu, movie fans can now bring together their digital movie collections(whether pruchased or redeemed)in one place and enjoy them from the comfort of their living rooms, and across multiple devices and platforms, including Amazon Fire devices; Android devices and Android TV; Apple TV; Chromecast; iPhone, iPad and iPod touch; Roku®devices and popular browsers. Movie fans can also redeem digital codes found in eligible Blu-ray and DVD disc packages from participating studios and enjoy them through Movies Anywhere. Movies Anywhere –your movies, together at last.